How much do you know about the fabrics your clothes are made from? You might favour cool cotton for hot summers or cosy wool for cold winters, durable leather for shoes and bags or slinky silk for evening wear. Clothing made from plant or animal derived materials has been around for thousands of years. The development of man-made fibres in the 20th century changed the sort of clothes we wore and the way we looked after them dramatically; super-stretchy elastane and easy-care polyester reduced the need for ironing and meticulously-fitted clothes. 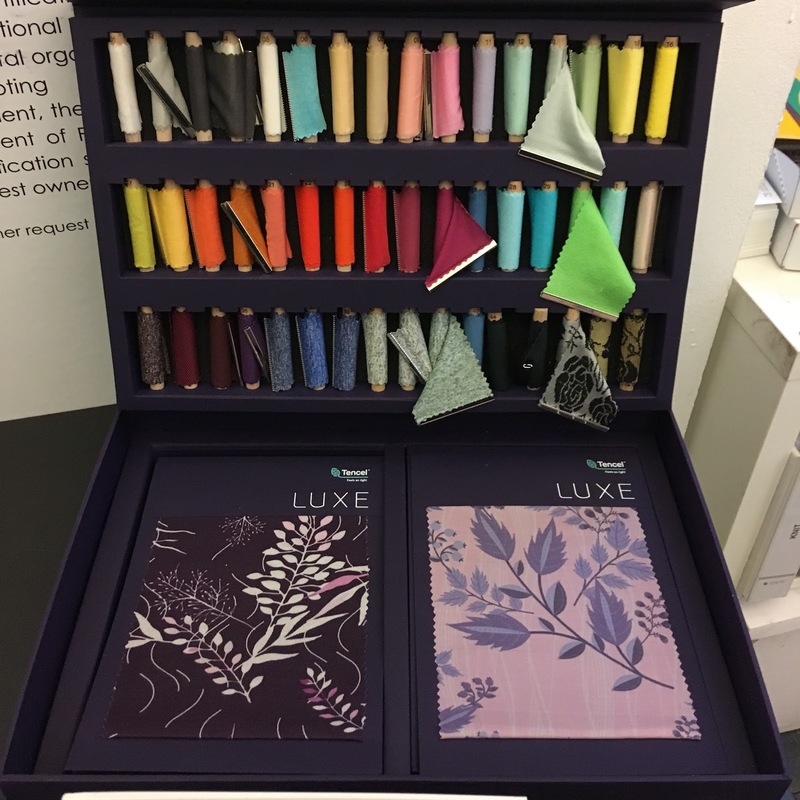 As our wardrobes have become high turnover and low maintenance, we’ve also started to become aware of the drawbacks of the materials we took for granted for so long. 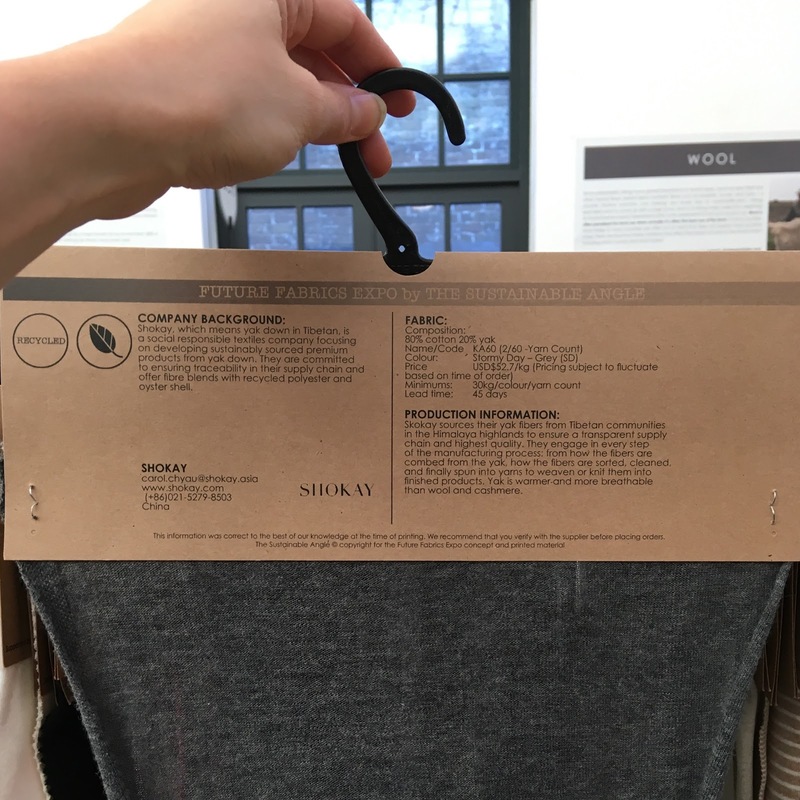 Cotton requires a lot of water to grow, and people who want to lead a cruelty-free lifestyle are reluctant to use materials that come from the intensive farming or killing of animals. Synthetic fibres are oil-based, essentially plastics, and recent studies have found microfibres from these fabrics in water supplies. The dyes and treatments used on fabrics make even natural fibres much less biodegradable. So what are our options if we want to minimise our environmental impact, feel comfortable and look fabulous? I went to the Future Fabrics Expo in search of some inspiration. 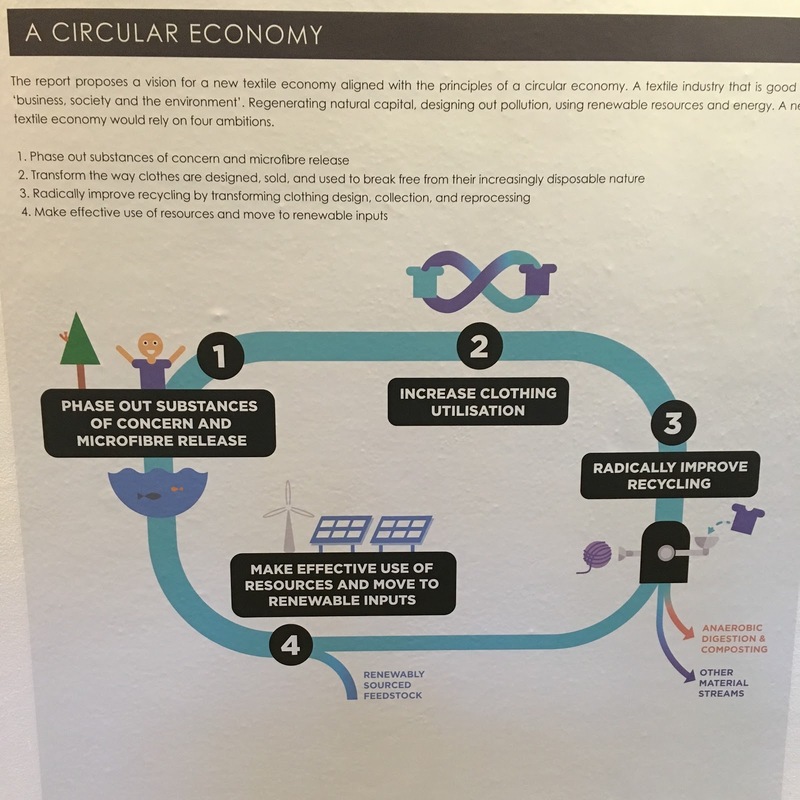 The expo emphasises the importance of thinking about a circular economy or closed loop manufacturing for textiles to minimise waste, but showcases different interpretations of sustainability. 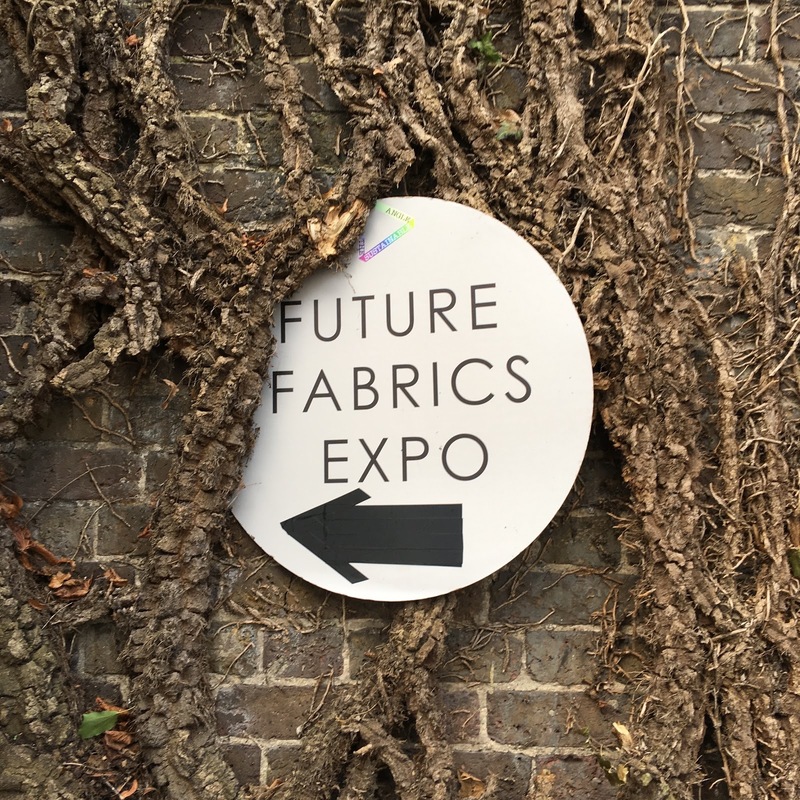 From cooperatives in India and Pakistan growing and weaving organic cotton, to cutting-edge technology producing low-impact synthetic fibres, there was a wide variety of beautiful textiles to marvel at. For those who prefer natural fibres, there were versatile bamboo fabrics from the Organic Textile Company, and fine jerseys made by the European Confederation of Linen and Hemp, which reinvent notoriously crease-prone linen as an easy-care fabric. British manufacturers Bysshe Partnership are working with hemp-growers in the UK and Romania to produce denims and furnishing fabrics. Plant leathers were shown by Ananas Anam, which produce sturdy and durable Pinatex from pineapple fibre, currently being used by Po-Zu to make gorgeous shoes. Apple leather by Frumat felt like the best quality thin PU (or faux leather), and other by-products of the fruit juice industry, in this case orange peel, had been used to create a luxuriously soft, drapey Orange Fibre fabric. Another surprising luxe fabric was Greenfil, made from castor oil plants. Peace silk (so-called because the moth larvae are not killed when the cocoons are processed) is usually characterised by a more textured handle than traditional silk, but the gossamer-fine peace silk organza from Offset Warehouse and slinky silk jersey from Seidentraum were beautifully smooth. Wool has fallen out of favour with people worried about the mistreatment of animals, so all the wool products shown at the expo were from companies who maintained high animal welfare standards. 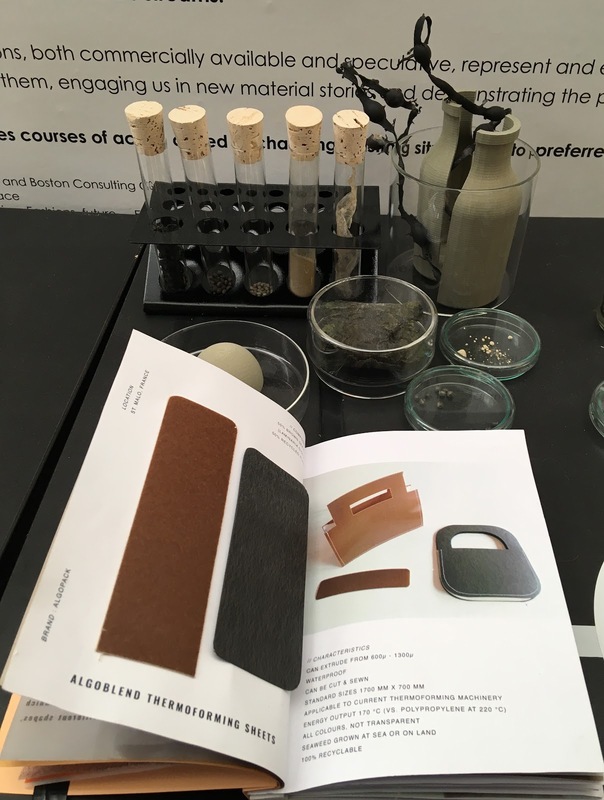 Wool’s rich history and longevity, coupled with the adaptability of sheep to land that would be unsuitable for crop farming, means it is becoming a favourite with British manufacturers, as new start-ups showcased their woven wool fabrics alongside heritage suppliers. Probably my favourite “surprise” fabric was a fine, soft jersey made from yak hair! As my only contact with yak previously has been in the form of false beards and moustaches for theatre shows, I was amazed that it could be made into such a delicate fabric. 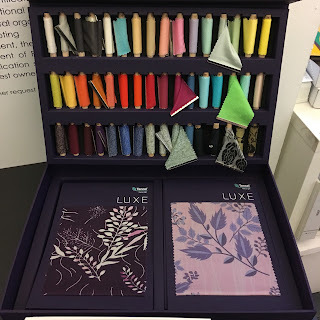 Other manufacturers showcased the versatility of their product; Tencel (a trademarked name for lycocell fibres, made from wood) showed soft chiffons on one stand, and trainers on another, along with a rainbow of samples that draw the eye just as much as their claims of sustainability and suitability for sensitive skin. Hallotex have combined lycocell with textile waste to create Refibra; the sample I saw was a thin, soft jersey, its pale blue colour came from its previous incarnation.